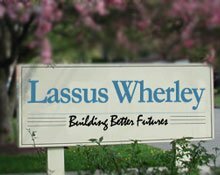 Lassus Wherley is a wealth management firm with expertise in financial planning, investment management, tax preparation, trust services, and family office support with offices in New Providence, NJ and Bonita Springs, FL. We work with individuals, couples, families, pension and profit sharing plans, trusts, estates, and charitable organizations. Using a team approach that we have developed over 30 years, we have helped hundreds of clients build secure financial futures. Three features distinguish Lassus Wherley from many other financial planning firms: personal service; objective advice; and leading-edge technology. Each client is unique, and we take whatever amount of time is necessary to learn what is important to them—both financially and personally. Only after we understand a client's needs and goals do we recommend financial strategies. Then, we adjust those strategies as circumstances change over time. Annually, advisors sign a Fiduciary Oath to act in our clients' best interests always. We do not sell financial products or receive commissions or compensation (direct or indirect) from third parties. Lassus Wherley has been committed to Fee-Only planning since we started in 1985 because we believe that it ensures that advice is delivered with objectivity and that clients will know that we are always working in their best interests. We use leading-edge computer technology for investment management and reporting, tax services, regulatory compliance, and more. Our goal is to become more efficient so that we can respond to clients' needs quickly and accurately. For this reason, we communicate with our clients regularly through FileGenius, a two-way, secure information exchange channel. Accessible through a web browser, FileGenius allows for secure transfer of sensitive financial information between clients and us.” It provides a significantly stronger level of security for transmitted material than do zipped and password-protected e-mail attachments. We do not believe in the use of technology for the sake of technology. We use technology so that we can devote our time to what really matters: serving our clients.